The golden boy of the 2016 NFL Football season has some explaining to do! Collectors have been waiting months for Dallas Cowboys star Dak Prescott to sign his 2016 Panini Prizm Football rookie cards. When they started to show up in mailboxes, it didn’t take long for questions to be raised. 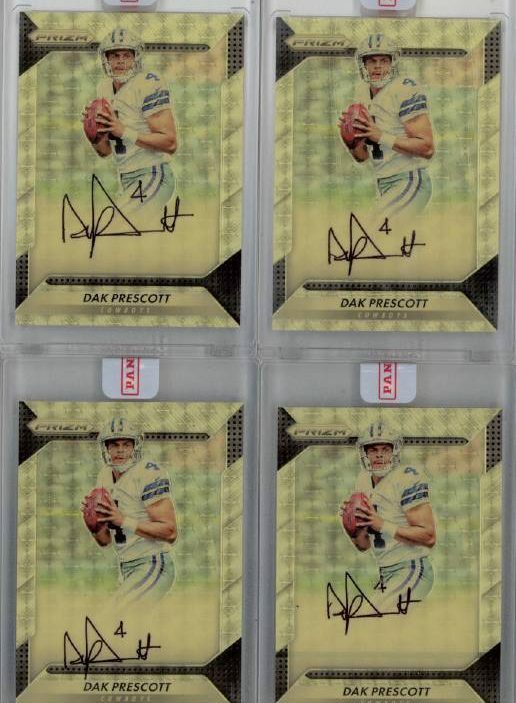 These four Prescott Prizm cards were rejected by Beckett Grading Services (BGS). Subsequently, it appears Panini recalled several Fedex shipments of other Prizm cards already en route to card owners. 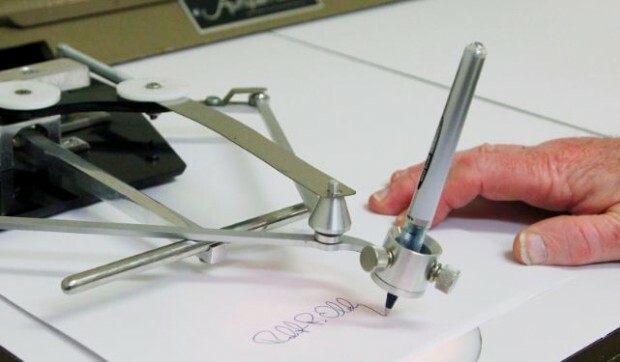 Collectors speculated that Prescott used an autopen. An example of an autopen is pictured below. 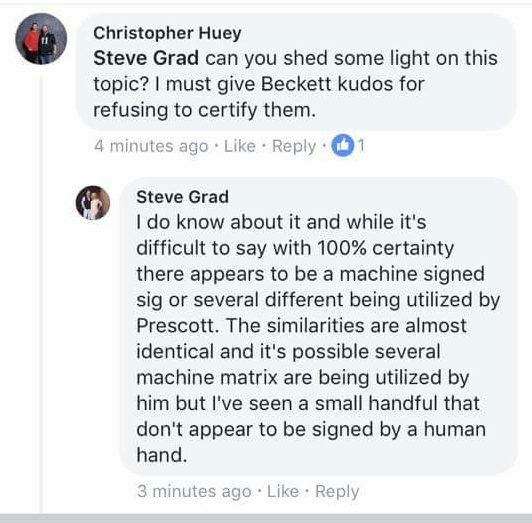 Beckett Authentication Services representative Steve Grad also thinks the signatures are machine made. Collectors are generally split between blaming Panini and blaming Prescott. Read the banter about the scandal on the Blowout Cards Forum. Check out more of Panini’s screw ups over the years. Updates to be added as story develops. Beckett Grading Services confirms to ESPN they rejected the Prescott Prizm cards. Attempts to reach Prescott’s agent were unsuccessful. Messages left for Panini officials went unreturned. Beckett alerted Panini America immediately after determining the Prescott cards were auotpen. New quotes from the Vice President of Beckett Grading & Authentication Services in the article. Karen Austin, the Assistant Vice President of Licensing at the NFLPA had no comment on the situation. A representative for Panini said “the company is looking into it.” The rep hung up the phone when USA TODAY Sports asked for the person’s name. 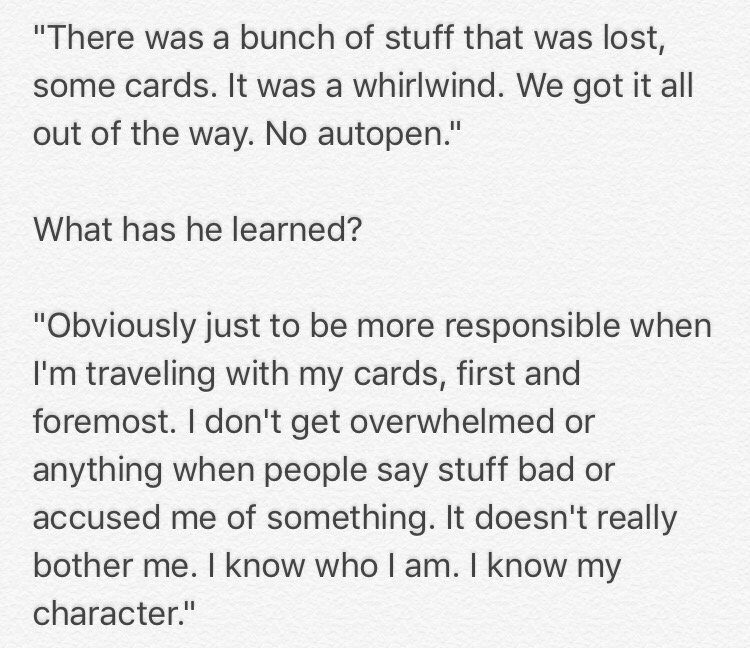 Sports Card Radio is referenced in this Washington Post article about the Prescott scandal. “Prescott and his representatives have worked closely with Panini during this process since becoming aware of the discrepancies and have no knowledge of how those cards were returned to Panini. A small quantity of Prescott autographs received for 2016 Prizm Football may not be authentic. Prescott tells Dallas News Jon Machota that he did not use an autopen. Different variations of the autopen cards begin to be listed on eBay. Wow is this for real? 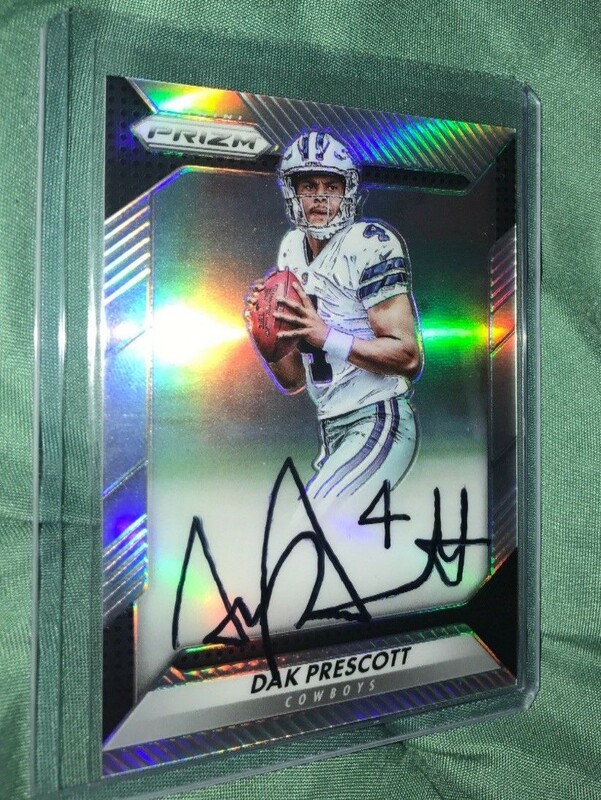 I am a card collector have plenty of Dak card’s but no autographs,and a huge fan of the Qb .I hope it doesn’t have any effect on the value of his other card’s.